Home / Blog / Did a Military Base Contaminate Drinking Water in a North Carolina Community? Did a Military Base Contaminate Drinking Water in a North Carolina Community? Though it’s too early to draw comparisons with the toxic conditions that existed at Camp Lejeune, another North Carolina base is suspected to be the source of contaminated water, and that contamination seems to be affecting a neighboring community. Atlantic, an unincorporated area of Carteret County, home to about 600 residents, has had two ground wells test positive for industrial chemicals linked to low birth weight, accelerated puberty, cancer, and illnesses of the liver, immune system and thyroid. The affected area lies near Marine Corps Outlying Landing Field Atlantic, a World War II-era facility now used for helicopter training and support of Marine Corps Air Station Cherry Point. As the Navy investigates the source of the contamination, it is supplying drinking water to Atlantic’s residents. 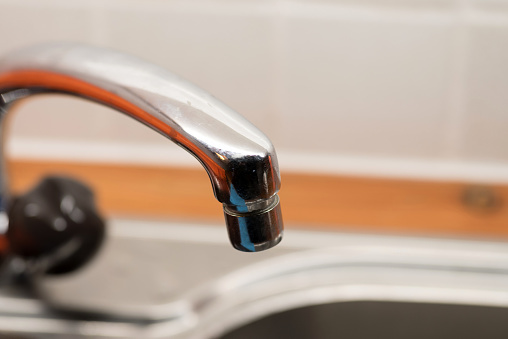 According to a report in Stars and Stripes, the contaminants in question are perfluorooctane sulfonate (PFOS) and perfluorooctanoic acid (PFOA), which “are used to make products more stain-resistant, waterproof and nonstick, and they appear in common household products such as cookware, carpets, food packaging and clothes.” The chemicals are also found in a fire-fighting phone the U.S. Department of Defense (DoD) has used since the 1970s. Obviously, there needs to be more pressure put on the U.S. military to be environmentally conscious and to take aggressive steps to discover and remediate contamination. But current and former service members who may be suffering the effects of contamination also deserve to know what has happened. If any have been sickened by contamination they were unaware of, they need to have access to the treatment and benefits they deserve.